Obituary for Donald Louis Caldwell | King-Tears Mortuary, Inc.
Don L. Caldwell was born on October 22, 1948 in Austin, Texas to Lorenzo Caldwell and Elizabeth Gilbert Caldwell. He accepted Christ at an early age under Reverend Henry Hill, Pastor of Del Valle Missionary Baptist church and he later joined the church family of the Mt. Olive Baptist Church under Reverend Raphael C. Smith, Pastor. Don then became active in the church and joined the Ushers, Nurses, and Greeters Auxiliary and was later ordained a Deacon under Pastor Richard E. Carter. He was a faithful, committed man of God to his family. Humble and kind were two of his most amazing attributes and he shared them with as many as he could. Don attended the Del Valle Public Schools. After graduation, he attended the University of Texas at El Paso and later transferred to Southwest Texas State University now known as Texas States University, where he excelled in both football and basketball. Coach began his professional career at French High School in Beaumont ISD. In 1973, he was hired at McCallum High School in Austin ISD where he coached all sports until his retirement in 2016. He was united in marriage to Dorothy M. Caldwell. Together they shared one son and one granddaughter. On Thursday, January 10, 2019, Don was called to his heavenly home. 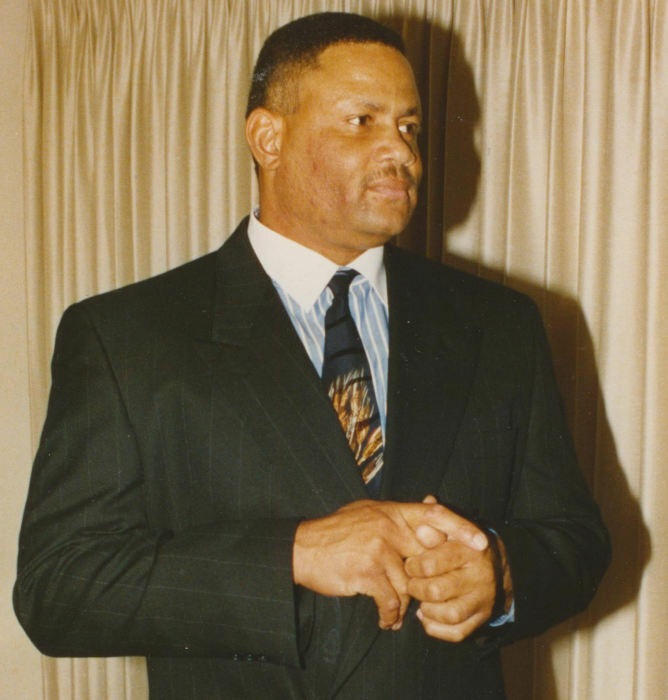 Coach was preceded in death by his parents, both paternal and maternal grandparents, and one nephew, Braden Caldwell. He is survived by his wife, Dorothy; son, Anthony; granddaughter, Ahlysse; and two godchildren, Kendra and Nathaniel. Don is also survived by sisters, Bobbie Williams, Debra and Vera Caldwell; brothers, Tommy and Terry Caldwell, all of Austin, Texas; aunt, Pearlie Caldwell Reed; uncle Keith Gilbert, both of Austin, Texas; niece, Cheryl Williams of Austin, Texas; nephews André Caldwell (Sunny), of Round rock, Texas Terry McVade of Austin, Texas, and Terrance Caldwell of Houston, Texas; mother-in-law, Mrs. Millie Spears of Orange, Texas; sisters-in-law, Ophelia Curtis of Humble, Texas, Annie Nelson (Darrell) and Cassandra Guillory, both of Arlington, Texas; brothers-in-law, Ronnie Spears (Janie) of Austin, Texas, Larry Spears, Sr. (Peggy) of Orange, Texas, and Billy R. Spears (Christina) of Grand Prairie, Texas; and a host of nieces, nephews, and other relatives.